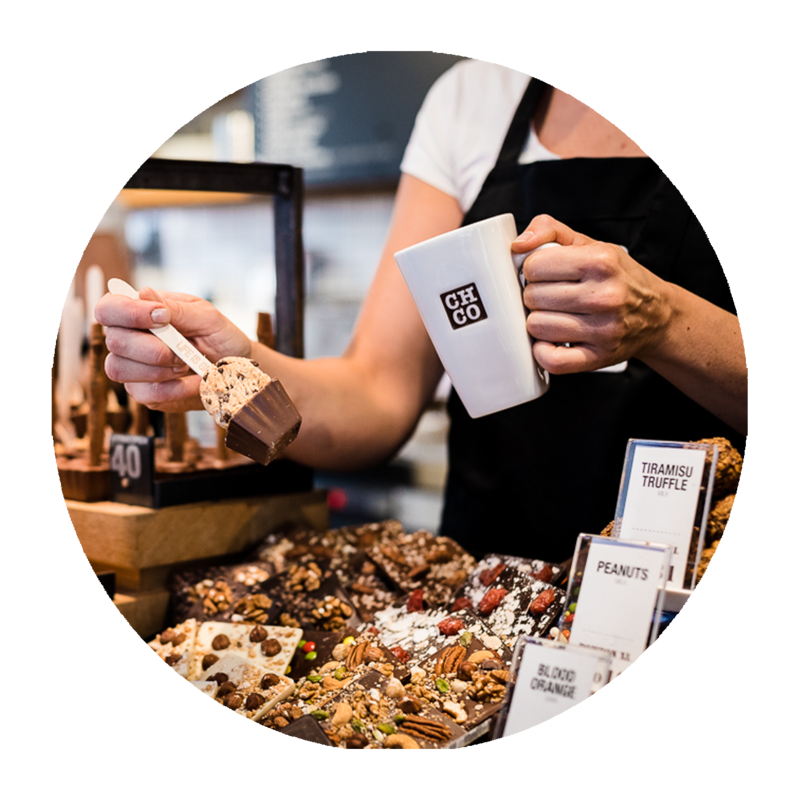 Right in the center of Rotterdam, next to Blaak Station, you will come across this chocolate paradise in the Markthal. Here our chocolistas are waiting for you from morning until evening with a delicious croissant and a good cup of coffee or a delicious salad or richly invested sandwich for lunch. You are also very welcome for one of our cakes, such as our famous Killer Brownie, creamy cheesecake or our delicious gluten-free ginger role . 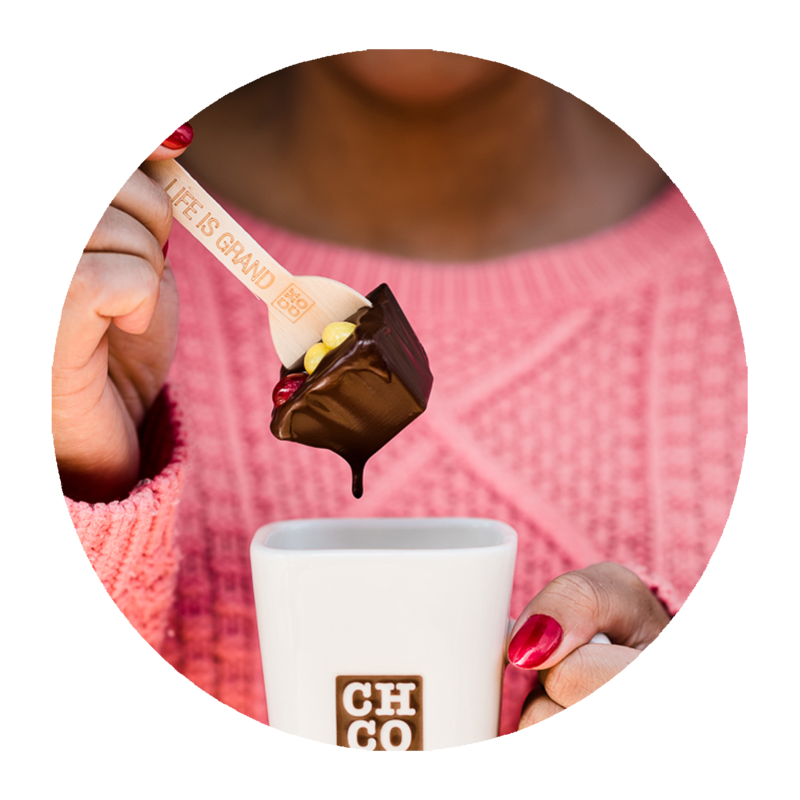 Do you want to enjoy a self-selected Hotchocdip - the chocolate fondue in a cheerful tin - served with delicious fresh fruit, marshmallows and cookies? Jummy! Reserve by e-mail or give us a call and we will take care of the rest. You can also come to us for the tastiest artisan bonbons , truffles and more! A (gift) box of chocolates as desired or prepackaged with a mix of white, milk and dark chocolate bonbons, a jar of salty caramel truffles for a last minute gift: it's all possible! Check here already our catalog! We also have different types of cakes . Great with a cup of coffee, tea or hot Hotchocspoon ! 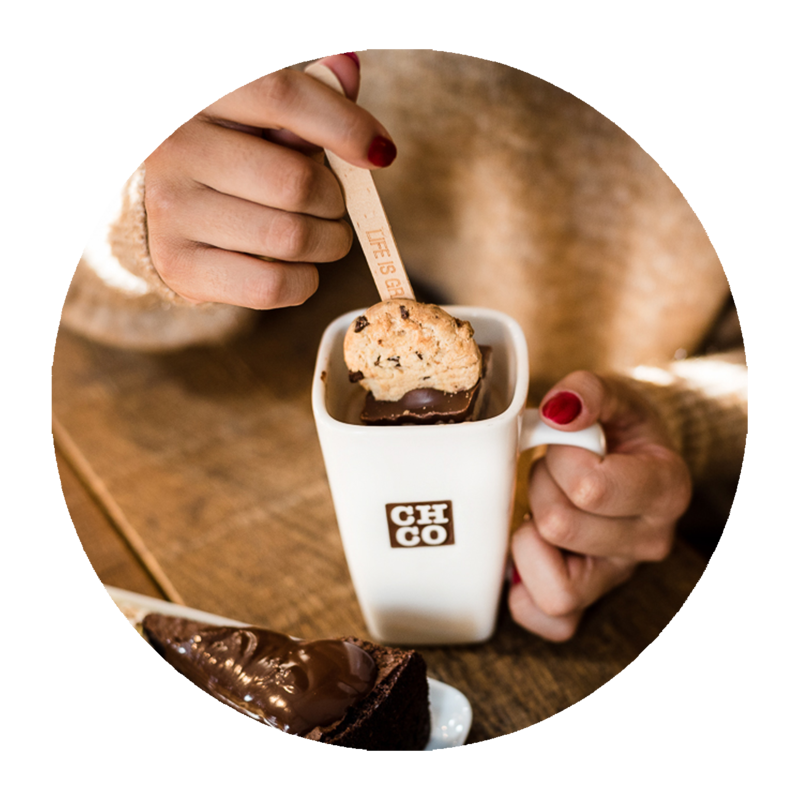 And we have our Hotchocspoon in more than 60 flavors! From Hazelnut caramel and Latte macchiato to 99% Low sugar and Cookie Dough. The best part of all is that you can take all drinks, snacks and cakes to-go ! For if you want to take a train earlier, enjoying a croissant, or if you want someone else to enjoy our great chocolate taste sensations !